Today we pair the Hyundai Veloster, which has been on the market since 2011, with the 2017 Toyota C-HR which has just debuted. They both claim to be coupe (the C in C-HR stands for coupe), but the Toyota is a subcompact crossover SUV hatchback in the midst of an identity crisis. Still, if buyers are looking for sporty, they'll be attracted to these uniquely designed options. But which one offers the better buy? 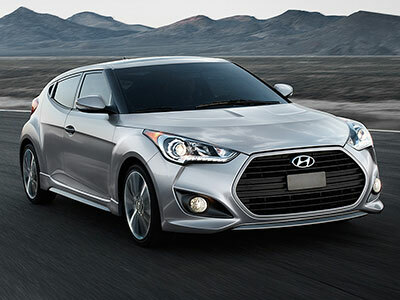 True to its class, the Hyundai Veloster is a smaller car. But waiting inside is a surprising amount of legroom, even for those in the back. The Veloster also offers a clutter-free cabin with a mix of soft-touch materials and plastics. The Toyota C-HR looks cutting edge and futuristic on the outside, but the interior is a dreary black-on-black dystopia with no other options available to buyers. The C-HR is plenty comfortable, except in the back where a low ceiling might bruise taller passengers' heads. Speaking of futuristic, the Veloster is a technological dream, with features like Apple CarPlay, Android Auto, Bluetooth, 7-inch touch screen, voice recognition, keyless entry, satellite radio, HD Radio, six-speaker sound system, and USB port. And those are just the standard features. You can also spring for convenience features like the Blue Link system to connect your smartphone, Android Wear device, and Apple Watch to your Veloster. Strangely enough, the Toyota C-HR doesn't have the connectivity its future-focused surface suggests. Standard features include a 7-inch, centrally-mounted touchscreen but no Toyota Entune, Apple CarPlay, or Android Auto to go with it. Most of the tech is for the exterior and safety, leaving the interior a lacking in fun and convenience. The Veloster is a sporty coupe, so you would expect fuel efficiency would be part of the package. You would be right. The Veloster offers an impressive 27/34 miles per gallon. If you want an athletic engine to match that sporty exterior, try the turbocharged upgrade--but know that you'll lose just a smidge of that fuel economy as payment for that power. 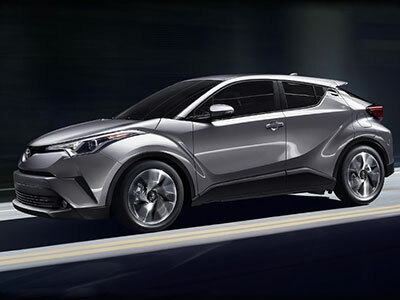 Getting 27/31 miles per gallon, the C-HR gets the same city gas mileage but lags on the highway. Critics complain of its poor acceleration and steering but praised its handling. The Toyota features the CVT (continuously variable transmission), which functions a little like an automatic and a little like a manual, giving you the best of both worlds. Earning the full five stars in government crash test ratings, the Hyundai Veloster has a solid reputation for safety. The Veloster emphasizes the commitment to safety with standard features on every model that includes brake assist and rearview camera. Since the Toyota C-HR is so new, it doesn't yet have government or independent safety test results. However, Toyota has a reputation for safety and includes, as standard, the entire Toyota Safety Sense System. This package includes active safety features like blind spot monitor and rear cross-traffic alert. The Toyota C-HR is the quirky, new kid on the block Toyota C-HR and still has a lot to learn. The Hyundai Veloster has it beat in interior style and leg room, tech connectivity, and fuel economy. Toyota gives more to buyers in terms of safety gear, but the total package here is clearly the Hyundai Veloster. Remember to ask for the turbocharged option for extra pep, and come in and test drive a 2017 Hyundai Veloster today!